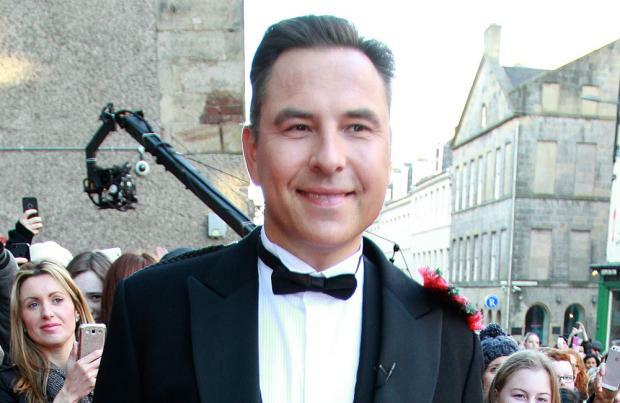 David Walliams feels "compassion" for Sheridan Smith. The 'Cilla' star - whose father Colin was diagnosed with cancer earlier this year - is currently taking a break from her lead West End role in 'Funny Girl' due to "exhaustion and stress" and David has pleaded with fans to support her decision to have time off. Speaking on 'The One Show', he said: "I feel a lot of compassion for Sheridan. I love her she is like a sister to me. She is obviously going through a very serious issue with her family. In any other job you would be allowed some time off, wouldn't you? I think she should definitely be allowed this time off." Meanwhile, Natasha Barnes - who is currently in the lead role of Fanny Brice as Sheridan's understudy - previously admitted she was worried about her close friend. She said: "This is absolutely the pinnacle of my career. Because for eight years I've been losing out to people who had bigger profiles than me and to be here now, and getting standing ovations is amazing. "But because Sheridan's a friend and we're a family, it's never going to feel whole without her here. When I'm on stage I don't have time to consider it but backstage before and after the show there is this absence. I miss her and worry about her and I hope that she's alright. "We're actually very alike even though we're from opposite sides of the country and she's got eight years on me. Neither of us had formal training and we're both people - but most importantly we have the same heart and the same soul. Sheridan's been so supportive of me. 'You give this a go and it will do good things for you', she told me. 'But be brave and make the part your own.'"